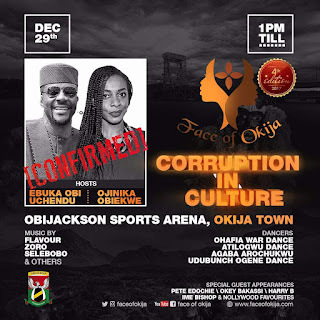 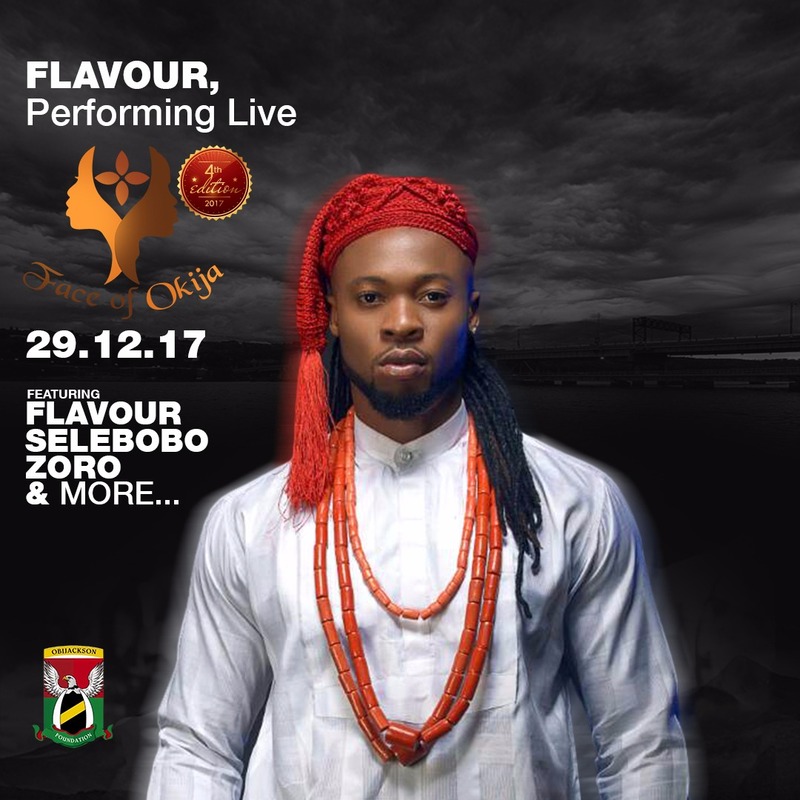 The Obijackson Foundation\'s event, FACE OF OKIJA, is an annual cultural and music festival which showcases the rich cultural Igbo heritage with the aim of empowering the youth, supporting the arts, and exhibiting good social dedicated work. 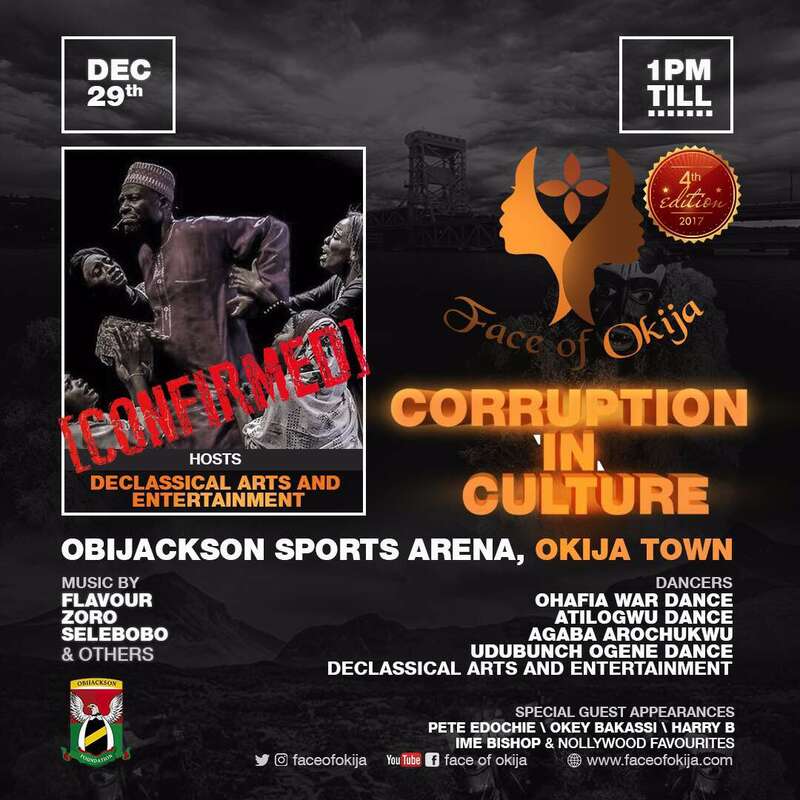 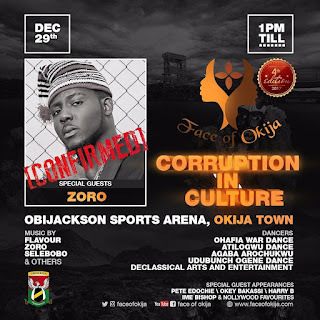 *The Fourth Edition of this highly anticipated event, which will hold on December 29, 2017, is themed \'Corruption in Culture\' and will focus on highlighting corruptive tendencies in our daily lives . A detailed presentation of the Obijackson Foundation\'s community work recorded in the past year will also be featured. * The focus will be on the Obijackson Women and Children Hospital....a world class specialized Pediatric and Women\'s healthcare facility located in Okija, Anambra state. 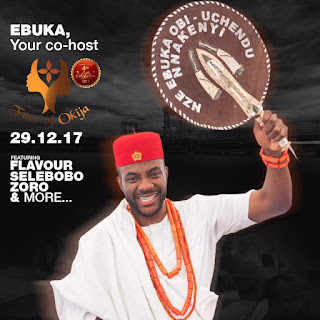 The world renowned Declassical Arts and Entertainment, producers of \'Gula\' will present a musical play titled \'Ununcha\', another great one to wait for. 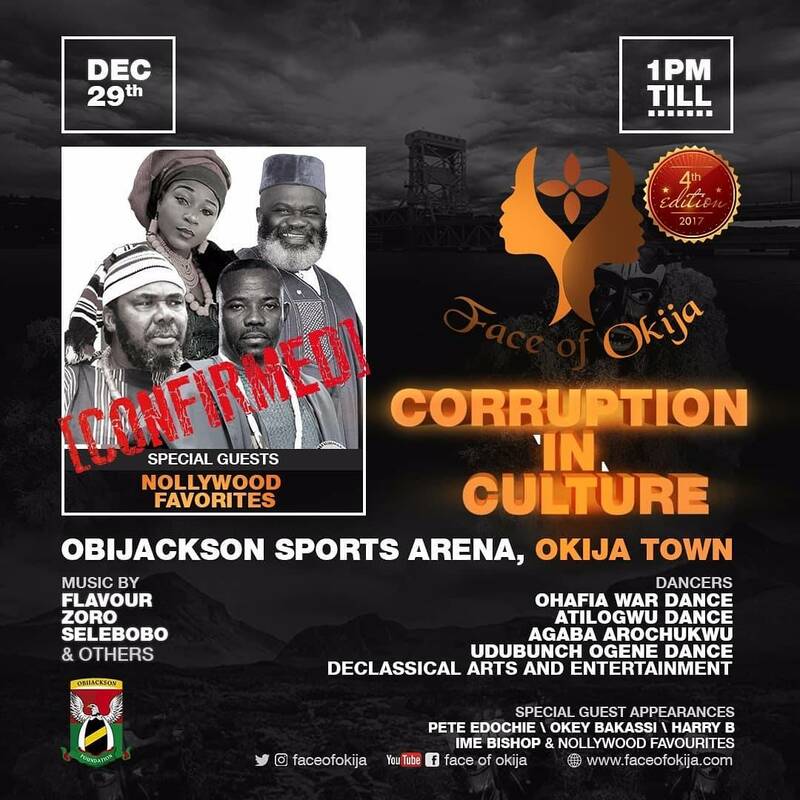 Very Exciting! This year\'s edition will focus primarily on Culture, Corruption and The Physically challenged.